This interactive adventure is a perfect primer for learning about the human body! Which part of the brain is in charge of creativity? What is the smallest human muscle? Take a trip inside the human body and discover the amazing systems that allow us to move, breathe, and speak. After reading about everything from the digestive tract to the cornea, kids can assemble their own plastic skeleton and view the systems of the body in a layered cardstock model. 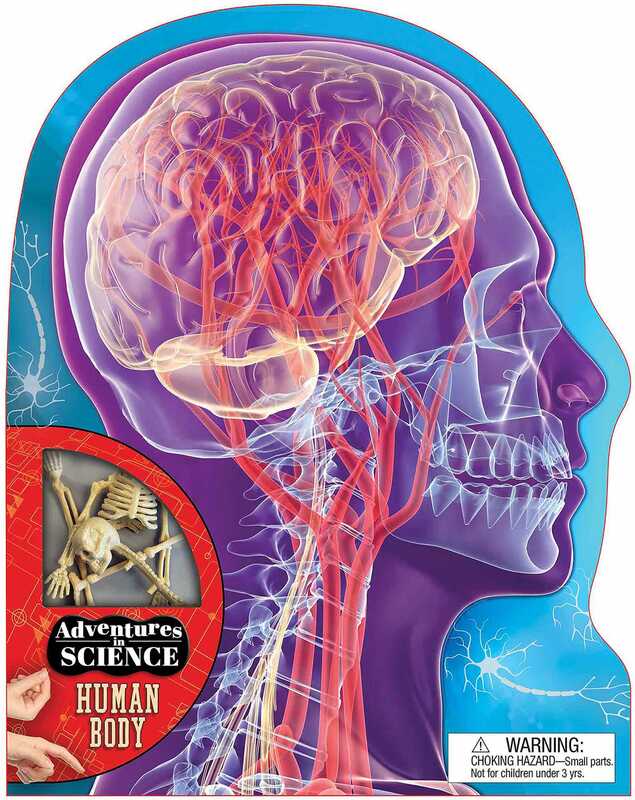 With 20 fact cards, 2 sticker sheets, and a double-sided poster, this interactive kit is a perfect primer for learning about how the human body works.